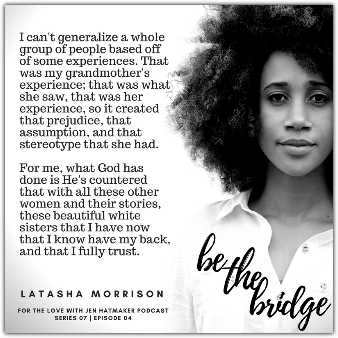 Our fabulous “Women Who Built It” series continues with the founder of Be The Bridge, Latasha Morrison. 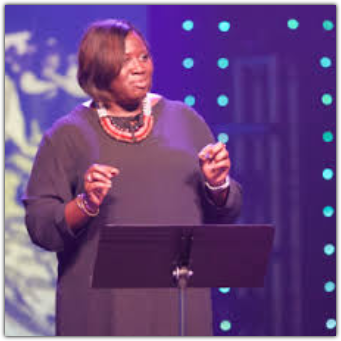 Latasha’s mission is to encourage racial reconciliation among all ethnicities, to promote racial unity in America, and to develop others to do the same. She facilitates “Be The Bridge Groups” that provide a “safe place for white people and a safe place for people of color to communicate and share their hearts.” She and Jen share about the incredible experiences they’ve had by being a part of bringing these two groups together as one to ask questions, and describe the life changing nature of these interactions. Latasha believes that in order to bridge the divides, we need to get to know each other and strip away the misconceptions and stereotypes each group might have about the other one, building a foundation of trust and movement toward a new landscape of awareness and understanding. Jen: Hey guys! 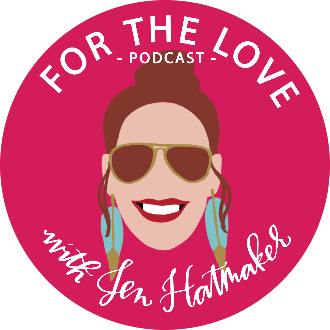 It’s Jen Hatmaker--welcome to the For the Love Podcast--glad you're here today! Glad you're here every week and I hope that you are loving the series as much as I am. This is my friend, Latasha Morrison, and she is a reconciler, and this very compelling voice in the fight for racial justice. In fact, Ebony Magazine recognized her as one of their 2017 “Power 100” for her work as a community crusader. She is just a really special leader in our time. So, she's at this point, taken her message all around the country. I mean enormous events--IF:Gathering, Justice Conference, Youth Specialties, Catalyst--it just goes on and on, honestly. When I first saw her speak three or four years ago, I was like “I need to know you. I want to know you, and I'm going to know you.” That's how I capture friends--it's very aggressive. So, Tasha is originally from North Carolina. She's got degrees in human development and business leadership. But then she started working in churches in Atlanta and then here in Austin, actually. You'll hear the story. But this route of race or racial reconciliation took hold of her heart and it has since become her entire life’s work. 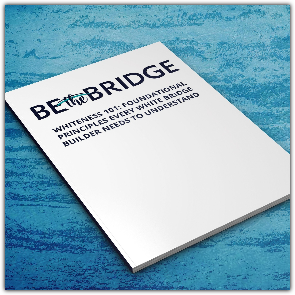 So, she founded, she built this organization called Be The Bridge to inspire and equip people in racial reconciliation; all the work that is required which is a lot and it is hard. I am excited for you to hear her story today; how she developed what she's doing now and how it's going to impact you, because this is work that is useful to you and you can absolutely hook in at the end of this podcast to what she is doing. I'm so glad to welcome my friend Tasha Morrison to the show. I am so happy to welcome to the show my good friend--somebody that I really, really love-- Latasha Morrison. Hi, Sis. Latasha: Hey, hey how you doing? Jen: I’m glad you’re here. Latasha: I'm glad to be here this morning. Jen: I just love you for this series. When we started thinking about “women who built it,” I was like jumping up and down in my chair like “wait, wait—I literally have a friend who is building bridges. So you guys, let’s fill in the others.” It seems like there's a billion stories about men who built it, because there's a million men who built it, but it's just such a good….it's such a good time. Such a good space to clear a little room for all the women who are building things too, like you. So, I've told our listeners a little bit about you, so they know something of your background here. You're involved in really, really important work--not just in the church, but in our culture. I've touched on Be The Bridge, but I would love for you to talk. Let's just kind of go back to the beginning of it, and this may have to go way back. I'd love for you to take this back to the moment, or maybe it was the season, that really moved you to become this champion that you are for racial healing and racial equality and reconciliation within the church specifically. That's your niche. Can you talk about where you were when you started thinking, “Dang, I think this is going to be a thing.”? Latasha…Exactly. I like to be liked you know. I really felt...I'd been a part of all African-American church, but this African-American church was really different. It wasn't as traditional as some African-American churches, and when I say that, I'll give you a little example--when you think about black church, people think “a choir.” We didn't have a choir like that. We had a praise group. So, it was all different. It was very progressive in that sense, in its style and stuff. So, with that, I always used to tell my team then (I used to be over like everything from the cradle to the career) ‘cause we would go into spaces--like it would be all white spaces, we would go into black spaces--I even spoke to a Korean youth group. We would go into the space and I would feel comfortable, because these are my people. We may not like the same things culturally, but I always look at it as “we're on the same team,” you know? I used to always tell my team I feel like we're like a bridge--we go into these spaces and we're like the only black people, you know. So, fast forward, several years later I was having a difficult time. Although I grew up in a very diverse community because my father was in the military, and my school was pretty much diverse. Of course, it was like only 13 percent minority but that's like the population in that it feels very diverse. 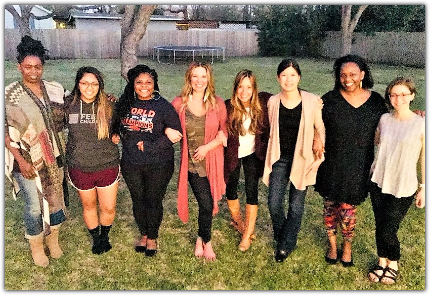 Having grown up in a very diverse environment, making the choice after I left the African-American church to go work in a predominately white church—I mean Austin was different because this was the first time where not only was I working in a church, but my community was predominantly white, the church was predominately white, and the city was predominantly white, and I didn't have any family--no family at all when I moved to Austin. I knew one person and they lived probably an hour away. Jen: You know what's so funny, Tasha, it's funny--I'm sure you're one of the first people they ever said that to me. So, I've lived in Austin for 18 years. I remember where I was sitting with you when you just said “there aren’t any black people here.” And I was like “wait, are you sure? I think there are,” I mean, because this is not such a white majority city, because it's also Hispanic. So, it's not all the way across the board. It just is so embarrassing to say it, but it had not occurred to me that there was a really small percentage of black people in Austin. I mean you said that, and it's like a bomb exploded in my brain and then, I couldn't unknow it. Then I realized, I dug a little and found out that you’re r right--Austin is seven to eight percent black population which is low--it's really low. Latasha: It's declining. Well, some of it is the city of Austin, but a lot of the people have moved to the outskirts, but it's declined over the years where it wasn't always like that. So, it's a growing city, but it's the only city where the black population is also declining. You don't pay attention to it, but I was living in South Austin so, that particular area that I was living in was white bread. Jen: It was white bread with a side of rice. I just remember talking to Dad one day and I was driving home and I was like, “Oh my God, I don't think I've seen a black person all week, you know?” I can remember going to the grocery store and you know that nod that we talk about, the nod? Like when you recognize someone and you go, “oh my God, hello...my people!” Following people around in the store, like “who are you, I’m going to talk to you, I don’t even know your name.” I wonder if they’re feeling the same way I’m feeling. Let me tell you the nod is for real. If you get the nod, don't ignore people that give you the nod. They're trying to belong. They're trying to be known. So, don't ignore people-- acknowledge people when they give you the nod. Jen: OK. I'll never ever think of a nod in any other way. Oh my gosh, that person needs a friend --let’s start talking. I started getting questions like you know and I can tell that the people that I work with that I was working with within the church there really never worked with a person--well not a person of color but I would say African-American, and then I would say African-American, in a sense that was not assimilated. So, they probably have worked with people, but maybe those people would fit more into their cultural norms. There's a difference. I know how to “co-switch” or adapt in environments you know. But you know, I think it was the first time you're seeing someone that sounds a different way. They like things that are different, the music that I listened to is different. They come into my office and all the pictures on my wall, maybe except for one or two, were of my god-kids you know who are African-American also. Those things just begin to really have a discontent with me and a lot of that started my awakening when Trayvon Martin was murdered. For me, that was a turning point, I would say, in my life. That happened while I was in Atlanta. But it was still the conversation and everything. The trial hadn't started and all that stuff, the trial started while I was in Austin and that was disturbing to me, because I saw the two different worlds where we were not on the same page. We lived two different lives, although we were supposed to be brothers and sisters. To say that a 16-year old walking in a community because he didn't look like he belonged, somebody has the right to stop him at gunpoint. To me, that's like “he doesn't have a right to be, and to thrive, and to live?” So, just seeing the opposite conversation on that was disturbing. Latasha: Yes, especially boys. Seeing the outcome, and that it didn't bother other people, especially the white people I was around, like it bothered me. I felt like I couldn't express I was feeling for fear that it was going to make them uncomfortable, or it's going to cause this controversy. So that started the journey, and some of that journey started online with discussing movies and stuff like that. That was probably the beginning point to this--entering into this white culture space where people didn't want to understand--they didn't know that they didn't understand. Jen: Exactly. I would have been firmly in that category a few years ago. Trayvon was really important to me too, just that it was almost like a stake in the ground. Latasha: I felt embarrassed. This is the first time I'm recognizing this. I've been living in this suburban culture, you know, as an African-American and that hadn't been my experience, but I've heard conversations, and it's not stuff that your parents talk about, your grandparents, their history--they don't talk about that a lot. I was embarrassed that I didn't know a lot of this narrative. Jen: That's really interesting Tasha--I've never heard you say that. I assumed that you did. That you came into that sort of season of incredible public—you know Trayvon was just so public in his story—it just had such reach. I for sure came into that with blinders on, but I didn't realize I think I assumed that maybe this was part and parcel of what your family language was built around. Latasha: No, no my parents did not speak on this a lot. It was more or less you heard comments a little bit, but my mom had friends of all different ethnicities. But you are still in this isolated box and the majority of the people I was around were African-Americans. Jen: So, okay, you're here in Austin, you're on the staff at a church in a largely white environment, mainly white environment. Trayvon happens and this national conversation kind of catches fire and it becomes super clear, super fast that there are really polarized perspectives on his story and on his humanity. So, something in you sort of starts solidifying. You start thinking “oh my gosh, wait a minute, like I'm uniquely positioned to lead a conversation here.” So what happened from there? How did you…how? How did you begin moving into what has now become your full time work? Latasha: It is so amazing. It started with movies. 12 Years A Slave came out, and I saw this movie, and I was like, “Wow it's interesting how my friends at church they always want me to do things that they want to do, but nobody was really interested in doing the things that I wanted to do.” But the thing is, I had to look at; did I really invite them to do it? Did they know that that was important to me? So sometimes we can make assumptions about each other, and when I’m not really being inclusive also because I had this little barrier around myself. 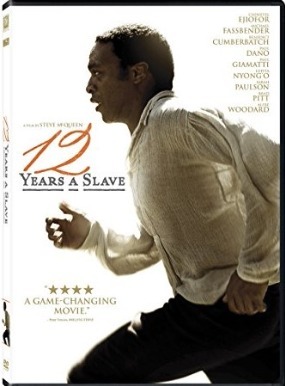 So, I started doing these online Google talks about 12 Years A Slave. I think I did some questions about it, and I just needed counseling after that movie like for real. I had to decompress and I had a conversation online with several people and that was so good for me. 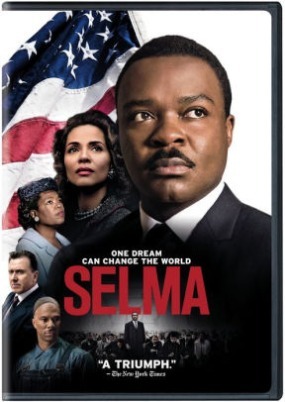 Then the same thing happened with Selma, and I was like, “I'm going to invite some other people to this movie with me,” and this time other people came. White people came, and black people came, and we decided to just have a conversation about the movie. After we watched the movie, we went to dinner, and I just scripted some questions and we started, and that was beginning because it was so helpful. Because a lot of people, they don't know what they don't know. Just because you don't know, doesn't mean you have to stay there. Jen: And you don't know who to talk to. Who can I talk to about this? Who can I ask some questions? Who can I listen to? If that's not a very natural part of your community, if that's not what your friend circle looks like, then people just get stuck and I think that people just die there; in absolutely homogenous environments having never really expanded their worldview or their friend circle or their influencers. Then, because it's hard--and we'll get to that--this work is not easy. It's hard work in every possible way. It's hard emotionally, it's hard spiritually, it's hard physically. I think everybody knows that going in; you don't enter a conversation on racial equality and think “well, this is going to be a breeze.” There's a fear, and an avoidance, I think, of tension. I think that's one of our biggest problems in the church, actually. But you pressed in. Latasha: You have people that are fearful because they know it's going to require change, and they know it's going to require work and they don't want to do it. I was sitting here with people who actually wanted to do the work. It started with that, and just having conversations with my African-American friends, like basically, we have got to have this conversation because we want to survive, we want to thrive in the environments that we're in, and we want our children to live and be able to play be free to play and be free to exist. We don't want our kids to have to deal with maybe what our parents dealt with, our grandparents. And I remember this someone had invited me to this thing called “IF,” and I was like “what is this thing, ‘IF?’”. Jen: This was 2014, maybe? Latasha: 2013 was the first one, when I went to the first one. But I remember I went to this a friend of mine, and she was like “you should go,” and I was like, “you know what, maybe I need to meet more people.” So I was thinking the whole time all “this will be a conference where I can meet more people of color,” that's what I'm thinking. Jen: No, that’s not what it was. 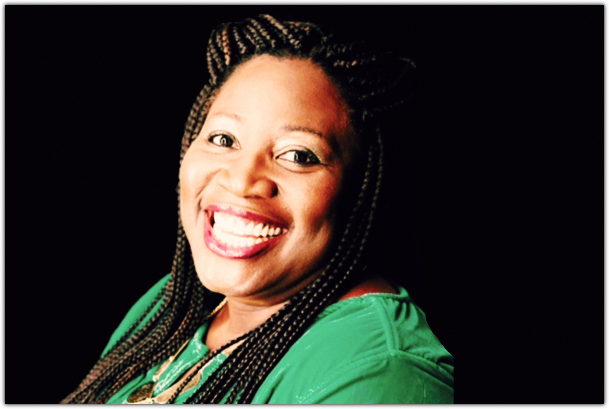 Latasha: So, on my way to the conference, I was like “Wow God, you've got to show me why you brought me to Austin.” I was actually like, “show me.” I just wasn't listening, or watching, or seeing. I remember, just as clear as it could be it was, “you know girl, I brought you here to be a bridge” and it would go back to that same word that I used to use when I was in Atlanta. I'm telling you there was like just this peace that really came over me because there was a sense of purpose as to why I was here. You know what, when I go to this conference I'm going to meet all people of color. Jen: Well, you did – all of them. Was it just 3? Latasha: There may have been 10. Yeah. And, and I remember looking I was like, like there's a lot of Latinas in Austin, but they're not here either. Like even my Latina sisters are not here. Jen: This was like a white girl convention. ​That’s kind of like how it started. Jennie met with us and she came--it's like those four black women and this little white lady came in and met with us; and we were just really honest, and then I found out that she had adopted, and she had you know friends said I had adopted and I started making the connection. So, we had this conversation and one of our friends she actually had an organization that dealt with restorative justice within the schools. She thought that we should have conversations based off this model of restorative justice. Learning about that that process and how we can have conversations and listen to each other. We decided to use that model and so we came up with questions. Then out of this, it just started, like we didn't have a plan but we just started meeting. Jennie invited some of her friends and we invited some of our friends and we just started having these conversations. Then Ferguson happened. Jen: That's right. Yeah. We were we were meeting for about four months before Ferguson happened. Latasha: Wow. So, that conversation was obviously an enormous catalyst for bigger and more important conversations. That's tricky there in that space because you barely developed any roots you know between each other--that's a that's pretty short amount of time. ​Latasha: One of the things that I had to deal with personally was; I'm in this realm and I'm like “oh no, I don't trust y’all—I don’t trust that you're going to be here. I don't trust that you're going to show up because you have a choice. You have a choice whether you care about this today, and whether it's on your mind today, and whether it's not on your mind.” I didn’t trust their commitment, and I was proven wrong. A lot of the ladies--they made it a priority, and then when I started finding out--we didn't talk about what we did, our roles or what we did in life--none of that was discussed. But then later on, find out that one lady (Jessica Honegger) was running Noonday, you know and you and she was showing up. Latasha: I was like, "Wow, they do care." I remember just some hard conversations we had about assumptions and stereotypes that we personally have. When we were telling our stories and I just remember a lot of them crying, and I was like, "Wow, they had never heard this before? They didn't know we couldn't go to the stores?" Latasha: Right, but here our friend Regina, told her story. You know Regina was in her 50's but talked how she went to get her mother a Mother's day gift, her and her sisters took the bus into Austin—to downtown Austin to shop at a store--and basically was escorted out of the store. She's recounting this, she was a little girl at the time, but she remembers this and they're hearing this story because this is someone live and in person, and in flesh, where we think these things happened 100 years ago, where I'm only one generation removed from that. Latasha: Like that's my dad's story. Jen: No, that's right, that's right. Jen: That's like my mom's high school—it was desegregated her sophomore year. Jen: I remember of course all of this in real time, and so this group became strong and rooted, and healthy. I think probably showed everybody involved in the potential. ​Jen: The powerful potential of what it looks like to come together across all sorts of racial lines, and just dive in. Dive in to the hard things. Have the conversations, tell the truth, and the fruit of it was just so obvious. It was so powerful and strong. The very next year, at that same conference a year later, you are on the stage. You are, that's what happens. That is how this went. Latasha: It is so crazy, you know. Latasha: I mean the whole thing, and I'm still, because we didn't know what we were doing. We were just having a conversation, and in that it was like, the leader in me also making sure that things were staying on track, and we had questions. That part of me started coming out, so Jennie asked me, "Hey, this has been great, I would love to help other people do this." We didn't really know what we were doing, so I'm like, "How are we gonna help other people? We don't even know what we're doing." In the meantime, I had actually been working on just this process that I felt we had been going through, and there was just these words that I felt God had given me. I was kind of working through this process, and I was dreaming about this stuff, researching all this stuff, and I didn't know where this was coming from. I remember, she said, "Can you put together just like a little guide or something, just to help people have the conversation?" I was like, "Okay." Then this process had been in me, and I just kind of laid it out. It was more than a guide at that point, but I just kind of laid it out. Then she said, I guess it was more than what she even expected, and she was like, "I think we should model this. I think we should model this." I was like, "I think you should model it." Latasha: You are not gonna put me on stage in front of all these white people to talk about race. Now, I'll talk about race with black people, but I'm not gonna talk about this in a big forum like that. No. Latasha: She was like, "What's that?" Jen: Especially when it was kind of half-baked at that point. Jen: It's not like you had a super developed curriculum. Latasha: and this was only like a month before the conference too now. Jen: Of course. I was just gonna say, now you know this, but that's just what it's like to be Jennie's friend. You know that now. She'll put you on the stage the day before. Latasha: She was like, "You know what? I am going to make sure, I'll introduce it. This needs to come from a person of color. You have to lead this. You have to lead us in this. This is not something for me to lead. I don't know how to lead this." I'm thinking like, "Yeah, you sure don't, but I don't wanna do it either." I don't know. ​Jen: Send somebody else to be your Moses. Latasha: Jennie was like, and I didn't know Jenny, but now that I know her I was like, oh my God, you set me up so good. Latasha: She was like, "I am gonna make sure to introduce you, I will endorse you and turn it over to you." I'm like, "Okay." Because this is her stage, this is her space, and so I remember we worked on these questions, we had these people. Some of the people that were in our group, and then we brought in other people that were not a part of our conversation in our original group. We had this conversation, and I remember getting ready to go on the stage, and I'm like, "Where's Jennie?" I remember Brooke looking at me and she said, I will never forget those words. She said, "Jennie said you have it." Latasha: I'm just thinking, I'm like this lady, did she just leave me hanging? She just looked at me and she saw that I looked like a deer in headlights. Latasha: She said, "Do you want me to go get Jennie?" I was like, "Uh, yes." Then she goes out, it's like we're in line already mic'd, about to go out, and I'm thinking like, "Oh my goodness, I am not gonna look like a fool in front of these people. I better come up with an opener or something, because I don't think she's gonna get back in time." Jen: For everybody with me who doesn't know the conference, not only was it in a live setting with like 2,000 or 3,000 people, but it's also being live streamed literally around the world. Latasha: I didn't realize that. You know I didn't realize that, right? I didn't realize that. Because I probably would have like froze. I was just thinking the people that were there, and that's why didn't understand how did so many people download the guide? Because there wasn't that many people there, but it was streaming. Yeah, and I kind of knew it because I was back stage, but it didn't connect. Like it wasn't connecting how big this thing was, but I started out with that, and that's why I started out with the scripture. None of that was planned. Yeah, and that's what I did. Jen: At this point, you kind of roll out your vision as developed as it was at that point, and you've got this pretty skeletal discussion guide, I think I still have it saved on my laptop. Latasha: The original one, yeah. Jen: Yeah, and it resonated, I mean it really did. I don't know how many times I've told you this, a million, but you're the right person for this. You're uniquely anointed for this work, and the way that you are, you are so accessible and you have this abundance of graciousness that actually drives me crazy, as I've told you. It's enough that I just wanna get mad, and you're being nice, and I'm like, "Gosh, it's so frustrating how nice you are." Jen: I do. You get mad privately, but I'm like, "Let's throw down. Let's get in a fight." You're just so patient, it's so aggravating. Latasha: That is truly who I am. Jen: I know it is. Latasha: It's like, I don't have to try. That's who I am, like even in my family, and my family's the total opposite of me, so I had to be. Jen: My point is that I can see exactly and precisely why God chose you for this work at this scale, because with so many white people under your leadership, you didn't get that original version you wanted of being a bridge to other black people. Jen: Sorry that didn't work out. Latasha: It didn't work out, right? Jen: But with so many white people under your leadership that are all along the spectrum of the work. Some that are at the very beginning, which is the worst. It's literally the worst. That's where I get the maddest and you're the nicest, even though I was that person, I was absolutely that person. Now I just struggle. Jen: What did I tell you? I told you like a couple years ago, I'm like, "You are my pastor, you are pastoring me through this work." I cannot think of a better leader to come under and learn from, and I have learned so much from you. I mean, I really can't even quantify it. I can't even explain how much God has changed my heart on this specific space because of you, and because of your work. Not just that, but the whole community that you've created, and then you were able to duplicate it. Jen: ​I've been on my own Be the Bridge group for like three years at this point, I think. They're coming over to my porch on Tuesday. Beautifully, like so beyond awkward, socially awkward early beginnings where it's like, who wants to go out for wine and hummus? Now everybody's just coming over. Latasha: But your group is just, I mean thinking about even one of the ladies that joined your group a little bit later. 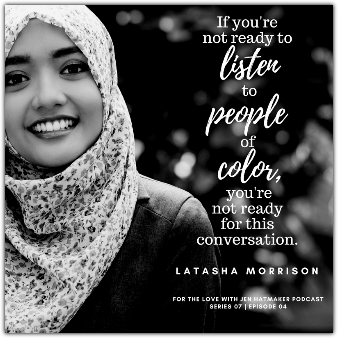 Latasha: Yeah, just seeing her, even as an African American how her life has been transformed, because this conversation is not just for white people or Latino people or Asian American people or native people. This African American, she lived in this bubble and was like, "Oh." She was disconnected from, say, the fight, in a sense, and the problems. Like she saw them, but she chose not to recognize it. I'm just seeing her journey, and what she's doing now, and the conversations that I have with her is so encouraging, because starting this work out you're thinking this is gonna be helpful. You're thinking like this is gonna help white people, but realizing that this is helping so many people. That's my heart to people. People are my heart. Jen: I know. I know that's your heart. Explain to everybody listening though, because at this point Be the Bridge is so much more wonderfully developed. It is replicable and it's got a lot deeper roots than originally when you kind of stood on stage with a pamphlet. Latasha: Yeah, I had no idea of creating an organization, but we had to create the organization out of the need. Latasha: I didn't know what I was doing, and so each year we are learning what to do. With this year I know that be the bridge in 2018 is gonna look different than 2017. We have actual strategic buckets that we're working on this year. I only started doing this full-time in July. Up until from 2014 to now, I was on staff at a church full-time, and then I knew one of them was gonna have to go. Either the preacher was gonna have to go so that I could have my sanity and sleep, or either the job at church was gonna have to go. I took a leap of faith in July and stepped out to do this full-time. That's how much I believe in it, and I believe in the work that I've been called to do, and how I believe in people. I have to have hope in this, because if not I would say there's no hope, and I am not leaving my job, and my health insurance, and my stability to go try to struggle and make this happen. I can't. Jen: Totally. I believe in you too, I really do, and I always believed that this was gonna be your work in a full-time capacity, and it was gonna exceed your wildest imaginations. Latasha: You have, you have always been that voice like, yes. It is so funny how God would use the very people, like all the people around me, the people who really encouraged me through this. Yourself and like this is reaffirming this call on my life. All of it has been white women, you know. Latasha: Most black women in their right minds are gonna say, "Run, girl, run! Don't do it!" Jen: Right. You can't trust those white women. They'll turn on you. Latasha: But I knew, I knew, but God used these voices around me. When I think about a lot of the people who are lifting up my hands and holding up my hands, it has been white women. That's the personal work that has been done in my own heart, where I can say I can't generalize a whole group of people based off of some experiences. That was my grandmother's experience, that was what she saw, and that was her lived experience and so it created that prejudice, that assumption, and that stereotype that she had. For me, what God has done is he's countered that with all these other women and stories, these beautiful white sisters that I have now that I know have my back, and that I fully trust. Jen: That's just, you're like making me sob. Tell everybody at this point, let's say somebody's listening, and this is a discussion they wanna find a way to enter. This is a burden in their heart, this is something they're paying attention to in the news and in culture, and in our neighborhoods and schools, definitely in our churches. They care, and they are at the starting point. Like they're at the beginning where they're like, "I literally do not even know how to open this can up." Tell them what Be the Bridge can offer them, and specifically what you put into their hands to begin building this space, because listen, everybody listening, the bulk of this work, it's people ed. All in the world it is, are regular ordinary people saying, "I care about this, and I wanna learn more, and I would love to also somehow build a bridge in my neighborhood, in my community. I would love to bring together other women who are racially different from one another and learn from each other." That's literally where it starts. You're not waiting on a leader, you're not waiting on some hero to step in and say, "I'm gonna be in charge of this in your life." This is literally accessible to you to be the beginning, to be the starting point of this exact work in your life and in your circle. Tasha, tell them kind of a little bit what Be the Bridge can offer them. Latasha: I think it offers you an on ramp to the conversation. There's a lot of things out there, I think we just have our piece that God has given us, and it's like the one-on-one, two-on-one version. It's an on-ramp to this conversation where you're at a place of awareness, where you see the brokenness in our society, you see the tension, and you're at a point where “hey, I wanna listen”. Because the greatest thing that you can have coming into this work is you have to be able to listen to people of color. If you're not ready to listen to people of color, then you're not ready for this conversation. I wanted to make it where it's not so, so difficult for a lay person or just any ordinary person to be able to pick this up, and run with it. 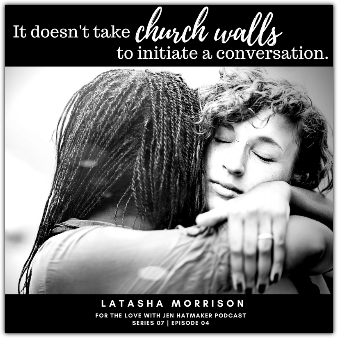 We wanted to make it grassroots where it could be done outside of the church, with the capital C “Church,” where it doesn't take church walls to initiate a conversation. You can initiate this with some girlfriends and with your community, or with your sorority sisters, or whoever. We have a version, we have one starting pre-work version called Whiteness 101. No, we weren't creative with the name, it is what it is, I'm sorry. We have another one, we have People of Color 101 coming out this year too, so there's some stuff we're working on. We have Whiteness 101, and that really deals with some areas that I think that in doing this work, there's about four to five areas. If white people could understand this, then this will help you do the rest of this work. To get into a group better, so this will give you the tools that you need in order to do this work more efficiently, because it's gonna ... this is difficult work, and it's gonna challenge your world views, your belief system, the lenses that you're seeing through. It's gonna challenge a lot, so we recommend that people do this pre-work called Whiteness 101. Then the great thing about it is that some of our friends in this work, other people that are doing this work, they've written books so we can recommend books to start with. Then from there we recommend getting in a Be the Bridge group. Now, this is the thing. Be the Bridge is not a chapter, so it's not chapters. People start groups. You have to start a group. If you wanna be in a group, it's about starting the group or finding a group that's starting in your area. This is to be and what we recommend that it's led by a person of color, and it can have a white person as a co-lead. I think that's what you did, Jen. You wanted to start a group, and you found a person of color to lead it. Jen: She's 23 years old. I'm like, "Nope, you're doing this. Yeah. We don't care, you're our leader; you don't get to say no." Latasha: You gotta come outside of your comfort zone. Are there people in your church now that would wanna have this conversation? 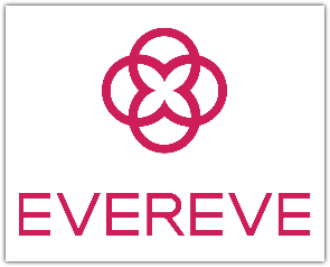 One lady, I told her to visit churches, to visit grocery stores, to go different places and start expanding her wheelhouse, start expanding her friendship circle and what she did so that she could meet other women, and that's what she did. I was telling her this and I'm thinking like, "She's not gonna do it. She's not gonna do it." Five to six months later, she sends me a picture, and this lady went from not having any friends of color, she had just moved to an area, she did everything that I told her. She went to this church, met these ladies at the church, told them about her vision, what she wanted, and the next thing I know they're sending me five to six months later a picture of their meeting in her backyard. Latasha: It's like all people of color there, and I'm like, wow. That's one side of this, but then some people are still trying to find those people of color, but they're doing the work. Just because you're not in a group, it doesn't mean that you're not reading books, you're not listening. Latasha: We have our online community of about, it started out with 69 people, Jen, and it's because we weren't an organization when we first started. I didn't have a website, the guide had to be hosted on the If website for over a year. The only thing I knew to do was start a group within Facebook where if people had questions after the conference, that here was a place that they could go. I started it maybe a month before the conference, 69 people, just people, some of my friends I added to the group, and people I knew, and started posting articles. Now the group is at 17,000. Latasha: We have rules, and Facebook has helped us. Like we got attention from Facebook to the point where we're a part of a conversation that's happening in how to make groups better. Questions, we used to send questions before they had it implemented in their process to ask people questions before they join your group. We would inbox people questions that they would have to answer. Jen: Yes. That's really important for that, because that space needed to be safe. Latasha: We do have the online space where you can begin. Now, it's not easy, it's not an easy space because it's online, and right now we're just in a political climate where the tensions are high, people are upset, people are angry, people are sad, people are lamenting. Then there's some people that are happy, and some people that are celebrating, and then you have people from different theological backgrounds. We have people that are people of faith, and we have people that are a little further from Jesus, and that's okay. Everybody's welcome into this conversation, but we're dictating how we have the conversation. Jen: That's so good. It's so powerful, and I've watched it. I don't even say this word lightly, but it's transformative. I don't know what you would say to this, but in my experience, for people who come in very, very green to this conversation, who are at the starting line but they're serious about it. It's not just a whim or it's not a passing fancy. Then you're doing the personal internal work, you are learning, you're educating, you're listening, you're building your own friend network. It seems like it still takes, even at that sort of commitment level, about a year until you have moved through the phases. As a white person, the phases are so painful. It's like defensive, denial, combative, because you're right. It stirs within you like a shame, and it requires a humility, and those are just not our best qualities. We're not good at humility, we are better at pride. Jen: That sort of deep, deep spiritual work is important and it's required, but by the end, when you spit somebody out about a year later having really, really kept their foot on the gas, it is amazing. I mean, really amazing the amount of knowledge. Even just knowledge, we could stop right there, just what you learn historically and culturally. This is not invented. We've got thousands of authors and teachers telling us everything we need to know here, but then also deeply, spiritually the way we are connected, it's powerful. It's worked in my heart and in my life, it's changed my life, and I've seen it change the lives of the people around me, and it is important, Tasha. I'm so grateful that you said yes to it, kind of reluctantly, and that everybody just shoved you into it, and you just had to do it. There was no other option. What you have built is really powerful, and it's very profound, and it has the potential to begin in partnership with so many other bridge builders and advocates to heal. To heal us. To heal what is so broken among us, inside us, between us that these tools are tangible, and they change hearts. I am so happy to put you in front of all these people listening right now. I want them to know that you are a trustworthy leader, that you have so much integrity; your faith is profoundly true. You are kind and good-hearted; you're generous and gracious in ways that I will never, ever, ever touch in all my days. That you are a wonderful leader in this time, and I think your legacy is gonna be great, and I think it's gonna be greater than you can imagine. The work that you have unleashed into specifically our church culture, which is in such dire need of gospel transformation on racial healing, is just enormously important. I'm just really proud of you, and I'm so glad to be your friend, and your sister, and you know that at every point along your journey here I'm like, standing ovation, cheering you on, pushing you on. Jen: And thrilled about it, so thank you for being such a good teacher to me and such a mentor to me, and patient with me. I can't even imagine some of the things I said to you at the beginning, so thank you for forgiving me for some of that early dumb, dumb ignorance. I just feel like I have in so many ways flourished under your leadership, and I'm not the only one. We're gonna wrap it up here with three quick questions, this is rapid fire. You just don't even worry about it. Jen: You just tell me the first thing that comes to mind, and it's just fine if it's not even deep and wise and wonderful, it can be funny. Jen: All right, so here's the first one. Who's somebody in your life who makes you a better person and a better leader? Latasha: Right now, my best friend. Latasha: Because really, it's that close friend that knows you, and that knows everything about you, and that knows, "Are you resting?" Challenging you, because there's this thing as a leader, sometimes that can be a lonely place. Latasha: It can be a place where you have to put on these brave and courageous shoulders a lot, but when things are happening in your personal life or things that are going on, it's not like you can talk about that stuff with anyone, but you can talk about those things with your friends. I think that's someone. Jen: Okay, that's one. I'm gonna do this for you. As someone in leadership, do you consider yourself to be a good follower? How does that affect what kind of leader you are? Latasha: Yeah. I do consider myself to be a follower, and that's the reason I lead the way I lead is because I want people to be able to follow. I wanna be that leader that I desired to have in times of my life that I didn't have, you know. I wanna be that person, so I want people to feel like they're part of a team, and that they have a voice, and that their voice matters. They can give input, I love to pull out the gifts that I see in people. I love to push people forward. The thing is, you know what? Your gifts make room for you, and the same way I hold this stuff with such open hands and such surrender, that God is in control. If we know that God is in control, we know that whatever he has for me, he's gonna do that, and someone else is never gonna take away from that. You know? Last question, this is what we ask every guest at the close. It can be really meaningful or it can be the silliest thing you ever said, it's just whatever comes to your mind. It's this; what's saving your life right now? 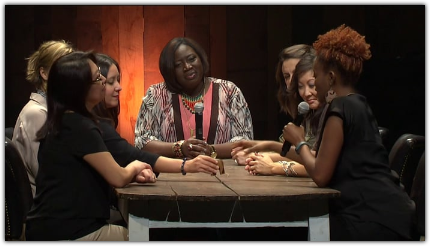 Latasha: I think the thing that's saving my life right now is prayer. Latasha: I'm just gonna be honest. Now, that's the churchy answer, prayer. Latasha: The other thing is, I'm just not gonna lie, it's like I like to be silly. I like to joke, so right now when things are really tough, the thing that's happening save me from just cursing and going off the rails is watching The Voice. Latasha: Fun, you have to have fun. I'm trying to make sure I have fun. Latasha: I like The Voice because I love Alicia Keys, and right now they have Kelly Clarkson on there, and she, hilarious. Kelly is giving me life right now. Like I want to have coffee with her, like for real. She's giving me life right now. Jen: All right, tell everybody where they can find you, where to look for you, and we'll have all this linked on my website. Latasha: Yeah. You can find right now, my website is being revamped, but you can find stories and stuff about Be the Bridge at BeABridgeBuilder.com or BetheBridge.com. 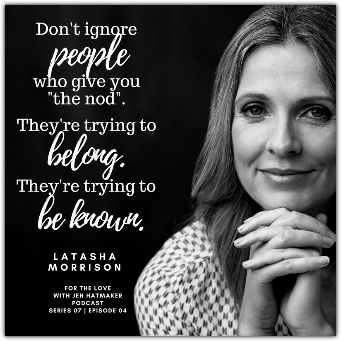 I'm on social media as Latasha Morrison, although I go by Tasha, but you can find my Facebook is @TashaMorrison. My Instagram is @LatashaMorrison, and my Twitter is also @LatashaMorrison. You can follow Be The Bridge at all those places to be a bridge builder. Jen: That's perfect, and guys, we'll have all of that for you. Like if you couldn't write that down fast enough, we will link over to every single one of those accounts and websites, don't you worry about it. I wanna tell you and everybody else, thanks for listening today you guys, and thank you for being on. That's my girl. That's my girl Tasha. I love her so much. She is so special. Powerful smart women inspire me, and I'm drawn to them so much and so I think that's why I'm loving For The Love of Women Built It so very much. I'm so moved and energized, and it's inspiring listening to these women who have built fantastic companies, and organizations, and ministries. They’re gritty, and they're hard workers, and they didn't take “no” for an answer. These are such phenomenal conversations—today’s included. Thank you to Tasha for being my friend, for being my guest today. 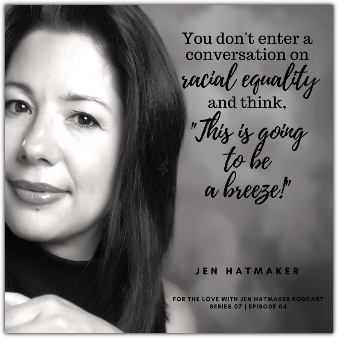 As always, all this information is over on the transcript on my website, JenHatmaker.com under the podcast tab, you will see everything we talked about, and bonus content from there. You guys, thanks for being here, love you, love my listeners so much, love this podcast community, it is my favorite thing on earth. See you next week.